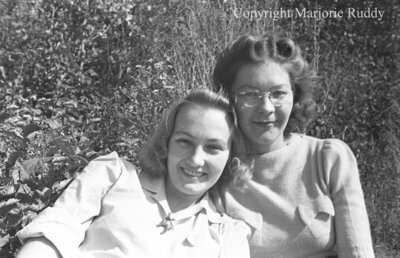 A black and white negative of two unidentified women sitting outside. In this view the women on the left is leaning on the woman on the right. They are both smiling. The women on the right is wearing glasses. Unidentified Women, c.1945, Marjorie Ruddy. Whitby Archives, A2013_040_838C.